Vogue Australia ended 2018 on a high note with a vibrant Adut Akech cover and kicked off 2019 with a sultry Emily Ratajkowski offering, yet over recent months, the publication has fallen off our forums’ radar, thanks to uninspired Lily-Rose Depp and ‘Next Generation‘ covers. 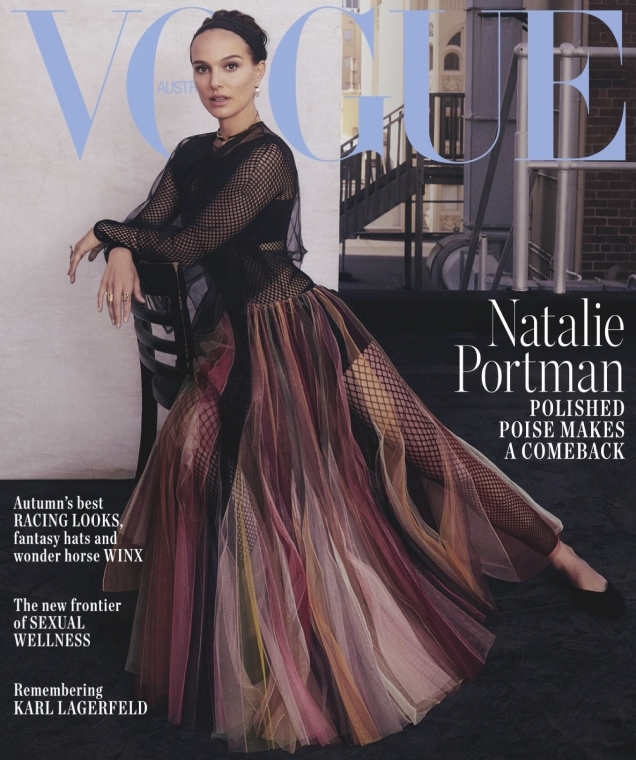 But with the April 2019 issue starring Natalie Portman, Aussie Vogue has our attention now. Photographed by Emma Summerton and styled by Jillian Davison, the actress wears Christian Dior (natch) in the full-length cover shot, striking an elegant pose atop the Regent Theater in Melbourne. Did the cover hit the spot for our forum members? “Gorgeous cover!” proclaimed jorgepalomo the moment the cover struck. “Love the image, hate the typography fonts,” called out amby. “Why do they always use the same ugly font? Is it their trademark?” asked Hafyiez wafa. “What she’s wearing is very nice, more in line with autumn. But the pastel Vogue masthead is entirely out of place. Maybe a rich red would be perfect to break the darkness of this shot,” Benn98 said. “What the hell is she wearing?” Bertrando3 asked. “This is the sort of cover that makes me think, ‘OK, I can get past it… but how many days until the next issue comes out? '” asked tigerrouge. A prime example of how one element can ruin a cover. See what else the issue has to offer and join the debate here.